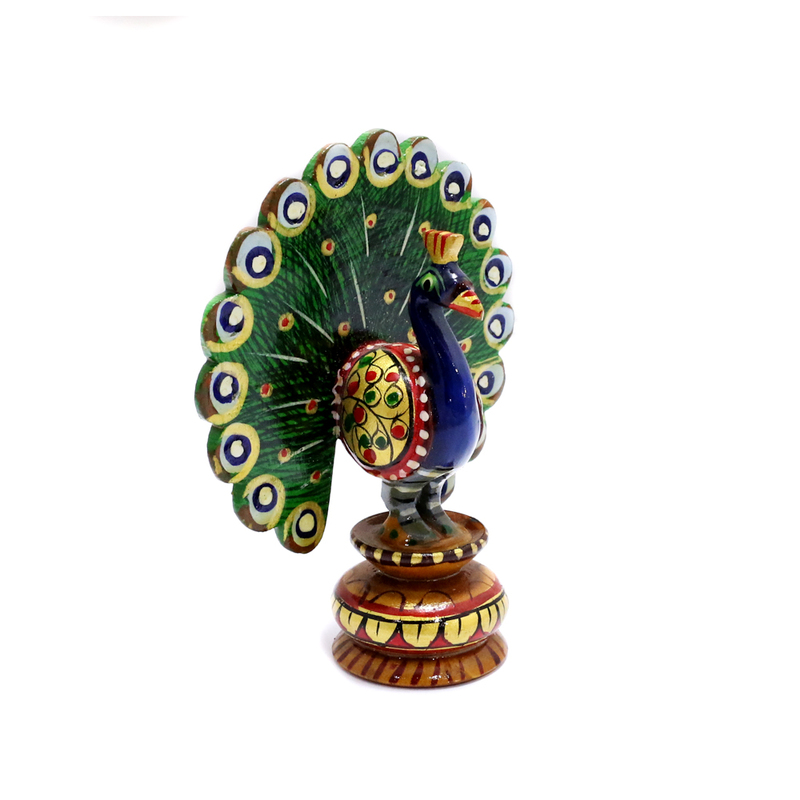 Nestled inside a red velvet box, this peacock showpiece is something to pry your household decorations with. 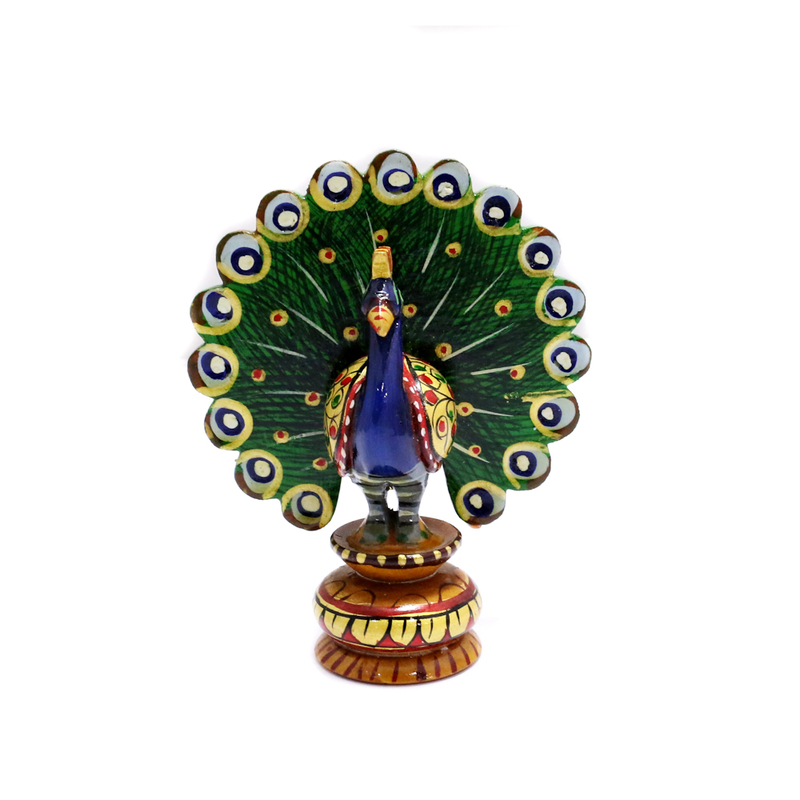 With dense meena work, this showpiece looks extraordinarily Read More..realistic. 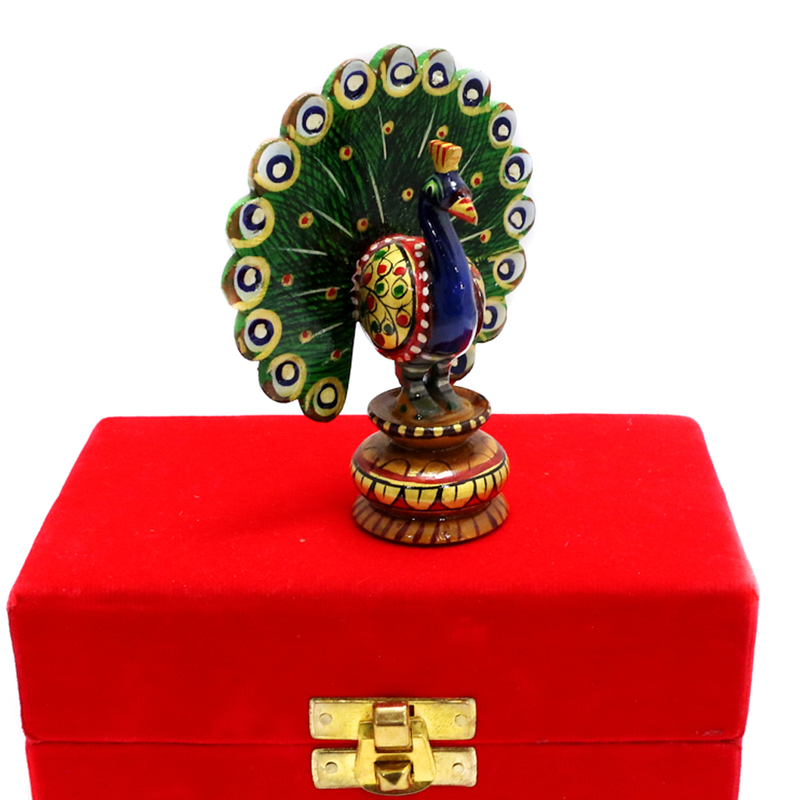 It has a thin yet sturdy platform to support the beautiful structure. Show Less..